Schools will soon be allowed to hold spare blue reliever inhalers for children suffering with asthma, according to the Department of Health. Currently schools are not allowed to hold spare inhalers because they are prescribed medicine, putting more than one million pupils at risk, according to Asthma UK. Last week the Department of Health confirmed that a public consultation on the change in regulations would be launched soon, although no timescales were mentioned. Meanwhile, the Medicines and Healthcare Products regulatory agency (MHRA) said the consultation would also look at providing guidance for the schools on the use of the devices. MHRA said it hoped the inhalers would be available for storage in first-aid kits in schools as early as next year. Tory MP Margot James said: "I am delighted that the MHRA has now launched a consultation on this issue and I certainly encourage all interested parties to respond. 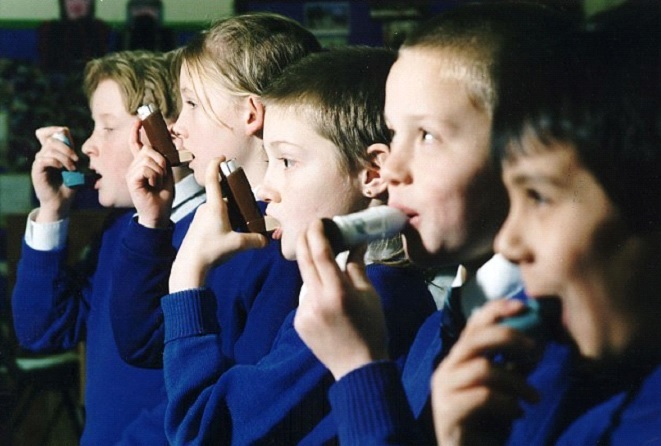 "It is vitally important for schools to be able to keep a spare inhaler for use in emergencies and the change will help safeguard children with asthma, preventing unnecessary hospital admissions or even avoidable deaths. "The consultation will help to shape the regulations and guidance for schools, and ensure they have the greatest possible impact." Three-quarters of the many daily child emergency admissions due to asthma are believed to be avoidable given better management of the condition at school or in the home.